Description: The French Revolution is vividly brought to life in a brilliant retelling of the classic story that has captured the imagination of readers since the 1850s. In Charles Dickens' A Tale of Two Cities, Sydney Carton is an almost ancillary character. Dickens' novel tells us the stories of Charles Darnay, Lucie Manette, and Alexandre Manette. Carton disappears from the novel for eleven chapters and several years, reappearing without warning to bring the novel to its chilling and heartbreaking end. Yet Dickens is silent about the circumstances that transformed Carton from a promising youth to an embittered alcoholic and finally to the man who makes the ultimate sacrifice for love. A Far Better Rest imagines his missing personal history and makes him the center of this tragic tale. Born in England of a wealthy, unloving father and a French mother, Sydney is sent to study in Paris, where he meets Charles Darnay and the other students—Robespierre and Camille Desmoulins among them—who will have enormous influence on his life and alter the course of French history. Years later, when Sydney, disinherited, is living a lonely and purposeless existence in London, Charles reenters his life. The beauty and kindness of Charles's wife, Lucie Manette, affects Sydney so deeply that he secretly devotes his life to her happiness. At last abandoning London for Paris, Sydney becomes a witness to the formation of the French Republic at the end of the eighteenth century and also to one of the most turbulent periods in history. 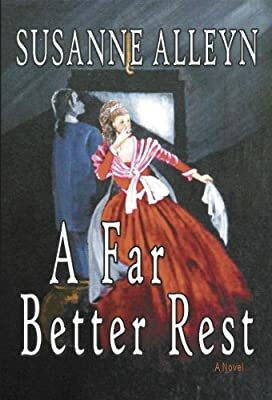 A Far Better Rest is a novel of passion, identity, and history that stands fully in its own right.